I have a soft spot in my heart for Bill Guerin. So when I heard he retired last week I thought, I need to write about that Big Hoss. I use to always draft him in my Yahoo! Hockey Pools back in the early 2000's. He was a solid power forward that would score and also get you 100 PIMs a year. Even in his later years I would draft him late to be my 3rd RW just to get the shots, PIMs and goal stats. In his 18 year career he scored 429 career goals with 1660 PIMS. Guerin was a 2 time Stanley Cup winner with New Jersey in 1995 and Pittsburgh in 2009. Billy was drafted 5th overall in 1989 by the New Jersey Devils and made just under $52M in his playing career. He is also the only player in NHL history to score more then 20 goals a season with 7 different teams. I can remember meeting Billy at the Anchor Bar in Buffalo last year. I was there to see the Maple Leafs play the Sabres and went to grab wings before the game. If you know the Anchor Bar, it's always packed and we were stuck in line waiting for a table. I guess the Penguins had flown in early for their game the next night because to our amazement, big Billy Guerin walked in and posted up near the bar and waited for a table just like us. My brothers and I saw him toss back 3 Pints of McSorelys Pale Ale in about 25 minutes. He seemed pretty cool and down to earth and was talking to a lot of the hockey fans that were there. It was nice to see him slamming beers the night before a game. He was a Hoss and made me realize just how big NHL players were. Guerin was always competitive, and showed a little bit of the dirty side of the dangle. Here's a clip of him abusing a rookie at a Dallas Stars training camp. It's probably the worst treatment I've ever seen of a teammate in any sport. 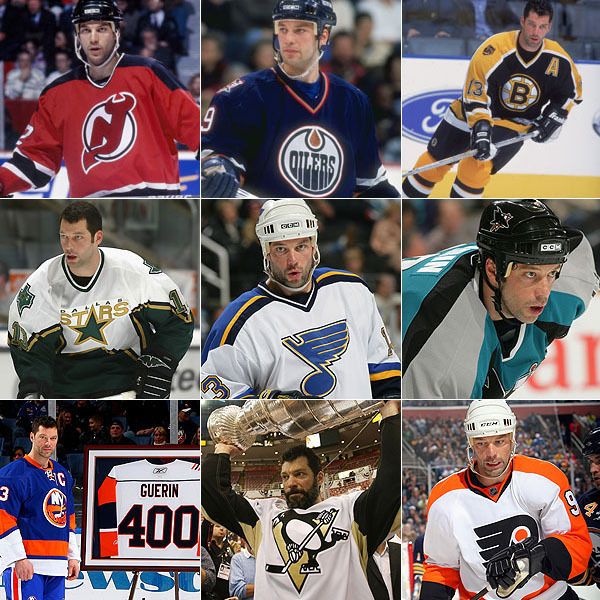 Cheers to a great career Bill Guerin. Last year we were able to meet... well see him at the anchor bar before seeing leafs lose to sabres in Buffalo. He was in town because the Pens were playing Buffalo the next day. He was wearing a pea coat and i dont think ive ever seen a jacket so big, HOSS! He was waiting at the bar like others to be called for a table to devour some wings. we also saw him have a few pints while waiting. I was at the anchor bar that night also and had the chance to shake guerin's hand(which was twice the size of mine). I said "congrats on winning the cup bill" and he replied "thanks buddy" with a pat on my back. I was also amazed of how big the guy was. So the question I have to dirtydangle is: will Bill Guerin be inducted into the Hoss Hall of Fame? he has my vote.. 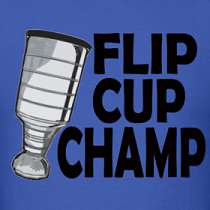 He was a winner....first player jersey I ever bought and was glad to see him win a second cup in Pittsburgh. He was a player to did it all when he played and gave it all on the ice.